St Petersburg Devils won the tip and scored the 1st basket, however it was all Blanche Ely for the remainder of the game. Ely jumped out to a 12-4 led over St. Pete led by Trevor Goodrum Jr. The Devils were plagued with turnovers ending the 1st Qtr with 5. Darius Banks for St. Pete slowed the Tigers run with a huge 3 pointer, however the Devil�s Travis Bianco gets two quick fouls and has to sit down with 3 minutes left in the 1st. Forward Glenn Miller also picks up a 2nd foul and has to sit out. Ely led St. Pete 16-11 at the end of the 1st Qtr. Ely continued the 2nd Qtr with excellent guard play making both mid and long rang baskets. The Tigers shot the ball well extending the lead to 36-24 at the half. The Devils continued to struggle finishing the half with 11 turnovers. Bianco who had a strong performance in the 7A Semi finals had 5 turnover and 3 fouls at the half. Despite a series of mini runs by St. Pete, led by Darius Banks and Serrel Smith, Ely was able to extend their lead to 16 with a 3Qtr score of 54-38. The. Devils continued to fight back by implementing an aggressive press which caused several turnovers by the Tigers however the Devils could not overcome the deficit. The Ely Tigers was led by William Maloney who finished with 20 points all scored in the 4th Qtr, Trevor Goodrum Jr who finished with 12, Michael Forrest who finished with 12, and Geremy Taylor who also finished with 12 points and 10 assists. The St. Pete Devils were led by Darius Banks who finished with 18 points, Serrel Smith who finished with 13 points and AJ Ford who finished with 12. AJ Ford was 8 of 9 from the free throw line. The Ely Tigers defeat the St Petersburg Packers with a final score of 84 - 70. 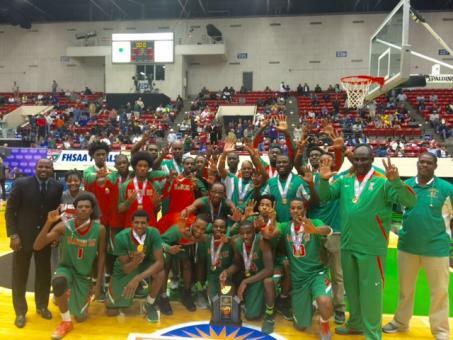 The win solidifies Blanche Ely�s dominance as they win back to back 7A State Championships.